Small POINT (1" - 2") CQ w/Amethyst - 1pc. Special w/Phantom -Medium POINT (2" - 3") CQ w/Smokey Quartz - 1pc. Medium POINT (2" - 3" & Thick) CQ w/Amethyst - 1pc. Special Golden Healer (1-3/4" -2-1/4") -1pc. Medium Double-Terminated (2" -3") CQ w/Smokey Quartz & Amethyst & Phantom- 1pc. 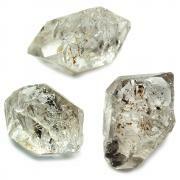 Small POINT (1" - 2") Clear Quartz - 1pc. Small TWINS/CLUSTERS (1" - 2") CQ w/Amethyst - 1pc. 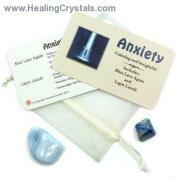 Small (1" - 2" & Thick) CQ w/Amethyst - 1pc. Special w/Skeletal - Small (1" - 2") Clear Quartz - 1pc. Small POINT (1" - 2") CQ w/Smokey Quartz & Amethyst - 1pc. Small POINT (1" - 2") Clear Quartz & Amethyst & Smokey Quartz - 1pc. 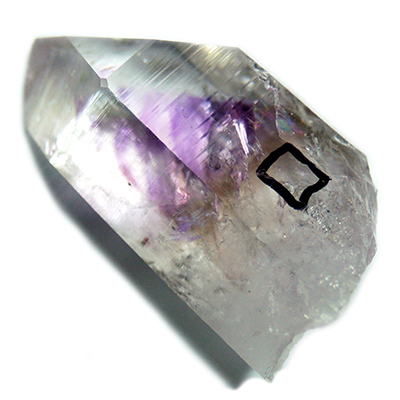 Medium POINT (2" - 3") CQ w/Amethyst - 1pc. Brandberg Crystals - Enhydros "A" (Namibia) - These "A" grade Brandberg Quartz Crystals with Enhydros come to us from the Brandberg mountains in Namibia, Africa; an area that contains some of the most unusual varieties of Quartz crystals. These particular Clear Quartz Brandberg crystals may phantoms, or other anomalies. The term "Enhydro" means there is fluid, gas or carbon bubbles within the crystal. The fluid can be very old and more than likely very pure. These "bubbles" were formed millions of years ago when the Quartz was originally formed and they are quite rare to find. 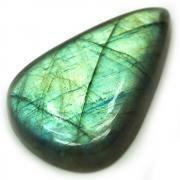 Enhydros can be found in other types of Quartz, Amethyst and other crystals. 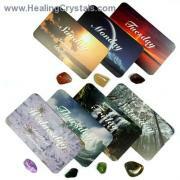 Enhydro Crystals can be an excellent tool for relationship work. Utilize this crystal to enhance empathy towards another, enabling the knowledge of the other person's perspective, and helping progress to occur in the relationship. Since water is the element that is symbolic of emotions, working with the Enhydro Crystal can help one to achieve significant growth in this area. When doing any emotional work, it is important to understand that emotions can be a guidance system to help us navigate through our lives into a desired direction. When emotions are particularly unpleasant, one must recognize them to be a sign that we are on the wrong track, and make adjustments accordingly. Clear Quartz Extremely popular metaphysically, Clear Quartz is known as the "Master Healer" of the mineral kingdom, with its very high vibration, and is the most versatile healing stone among all crystals. Clear Quartz is also known as the "Stone of Power" and can help to amplify any energy or intention. Clear Quartz is believed to protect against negativity, attune to your higher self, and relieve pain. Quartz crystals are very programmable and have a tendency to hold a program much longer than other minerals.